To celebrate the special role kupuna play in their lives, students in grades seven to 12 welcomed these special members of their 'ohana to campus on November 15 for the school's annual Grandparent' Day festivities. Over 300 kupuna joined their granddaughters for a special program showcasing some of the school's outstanding performing artists before sojourning to classrooms to get a glimpse into student life. 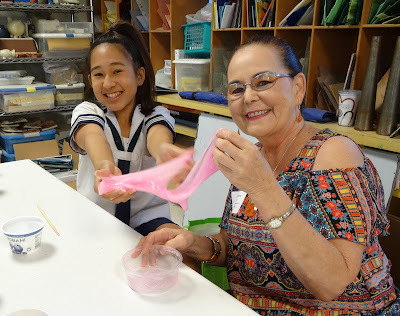 They also participated in some fun and spirited activities, including Bingo, "Name That Tune" and even a session making and "personalizing" a Gak-like concoction with bright colors. 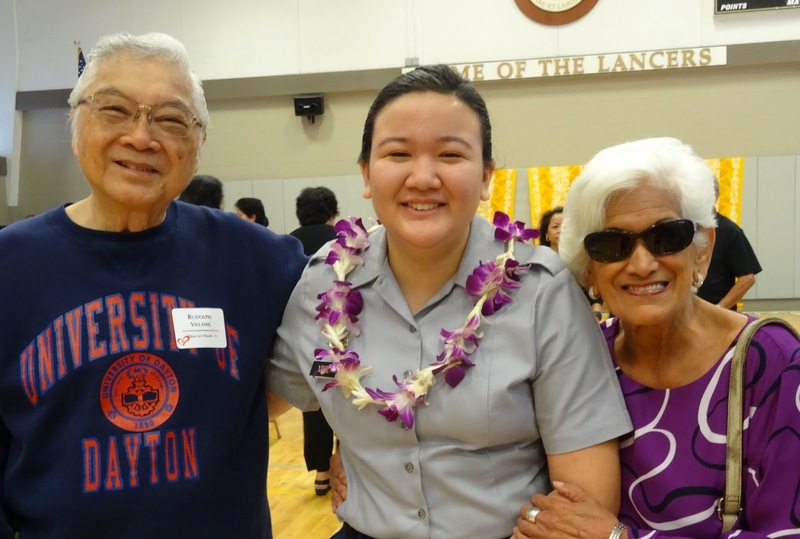 The celebration of Academy grandparents continues on November 17 when 300+ kupuna of those in grades Pre-School to six descend on campus!